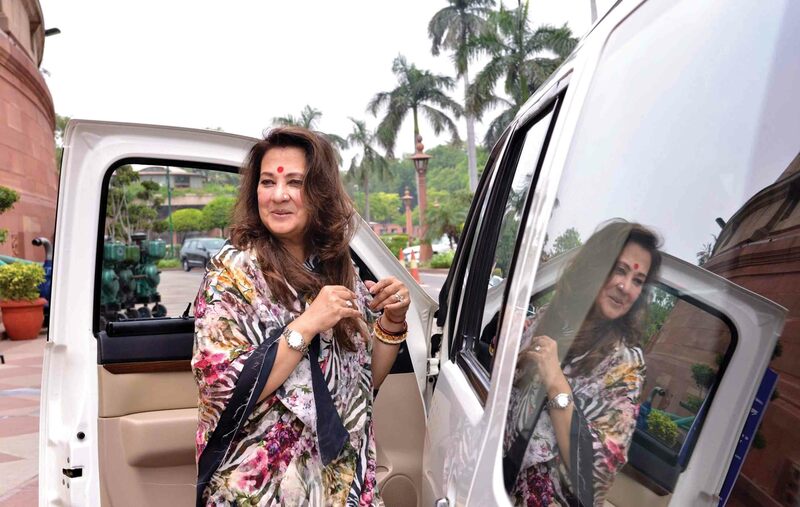 AROUND this time, five years ago, Moon Moon Sen hit the election campaign for the first time in her life. The actress began with good intentions, campaigned with the photo of her mother (the legendary actress Suchitra Sen), met rural people of Bankura constituency and exhorted them to talk about their problems. However, she drew a blank when people, particularly women, identified the availability of panyiojal(potable water) as the biggest problem. As the issue cropped up in different places, she asked one of her campaign managers what this paniojal was. Jal, she knew well. She was stuck on the formal word paniyo. Five years later, she is stuck on another point. She has failed to understand why her constituency has been changed. She won Bankura by defeating the CPI(M) candidate Basudeb Acharia, a heavyweight who held the constituency for 34 years, by a margin of 98,506 votes. Her party Trinamool Congress (TMC) got 39.1 per cent vote; CPI(M) got 31.05 and BJP’s Subhas Sarkar got 20.31 per cent. So, Moon Moon (officially Sreemati Dev Varma) wondered—and she was candid about it even before the journalist—why she has been shifted to Asansol, the constituency held by BJP’s Babul Supriyo. This time the constituency is considered quite safe for the BJP. Admitting that she does not understand politics, she affirmed she was hurt by the decision. The reason for the change lies in a transformation in the political atmosphere of the state. That is why Mamata Banerjee, the TMC supremo and state Chief Minister, has brought in veteran politician and her minister Subrata Mukherjee to defend Bankura. To ward off anti-incumbency, she has dropped 10 sitting MPs (including the two who joined the BJP). While for Bankura, in central-western part of the state, she sent a veteran, for Basirhat and Jadavpur in South Bengal, she introduced two young and popular actresses, Nusrat Jahan and Mimi Chakraborty. It all shows she is gearing up for a tough fight. So, what has infused life into this fight? Is it BJP’s rise in the Narendra Modi era? Partly true. But, the Modi factor is not enough, not at all, for BJP to dent TMC’s hold in Bengal. 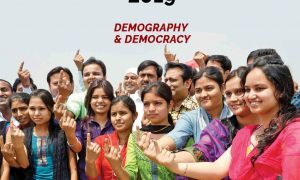 In 2014, the BJP got about 17 per cent votes in Bengal, while TMC got nearly 40 per cent, and the Left about 24 per cent. Why then Amit Shah, the BJP president, claims in rallies in Bengal that they would get 23 seats (out of 42) in Bengal? Is it solely based on the hope of Left decimation and transfer of at least half of their total votes to BJP? Probably the chemistry of this election is a little more complex than what conventional analysis throws up. For the last few years, TMC is facing three opponents—the Left, the Congress and the BJP—in Bengal. All the three have strong voices that could be heard by the people, directly or through media. Their combined efforts have made this Lok Sabha election a vote on Mamata’s performance. Consequentially, a polarisation of opposition votes seems to be on the cards. That is how the BJP has forced a direct contest with the TMC in two-thirds of Bengal’s Lok Sabha seats. At the same time, the process may also help the Congress or the Left to consolidate their votes in a few constituencies. 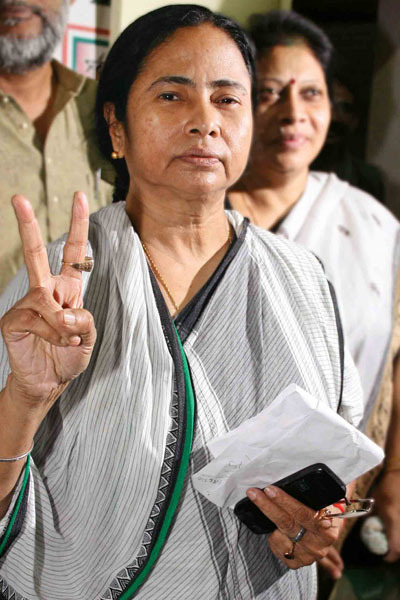 That makes this election the toughest one for the Bengal Tigress since she became the Chief Minister in 2011. Who wins how many seats will depend on two crucial factors: one, how much the anti-TMC votes polarise in favour of one party in a constituency; two, whether the TMC can increase its vote share (it got 42% in 2016 assembly election), or its vote share erodes. Depending on the interplay of these factors anything may happen in Bengal. THE polarisation started after the last assembly election when, even after joining hands, the Congress and the Left failed to make a dent. This became evident during 2018 Panchayat election. In 2018, BJP emerged a distant but distinct second force. The Left and the Congress, who fought separately, were decimated. At the lowest tier, while Trinamool won 2,679 seats (73 per cent), BJP got 202, the Left 24 and Congress 16 seats. BJP did particularly well in villages across Alipurdar and Jalpaiguri districts of North Bengal, and in Jhargram, Purulia and West Medinipur districts of western Bengal. 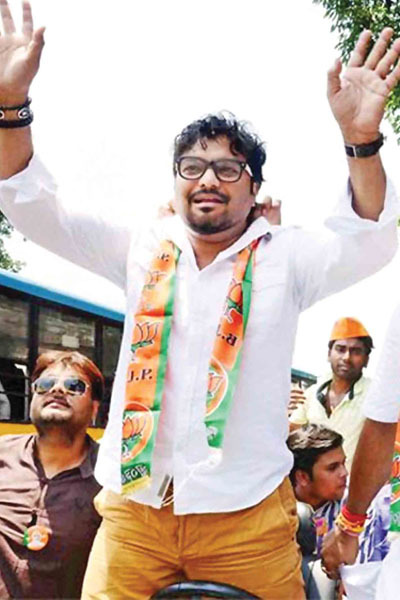 However, they created ripples as the saffron party won more than 20 per cent seats in TMC citadel of Birbhum district. It was at once clear that further consolidation of opposition votes may help the BJP win three additional Lok Sabha seats (Alipurduar, Jalpaiguri and Jhargram) apart from the two held by them (Asansol and Darjeeling) in 2014. 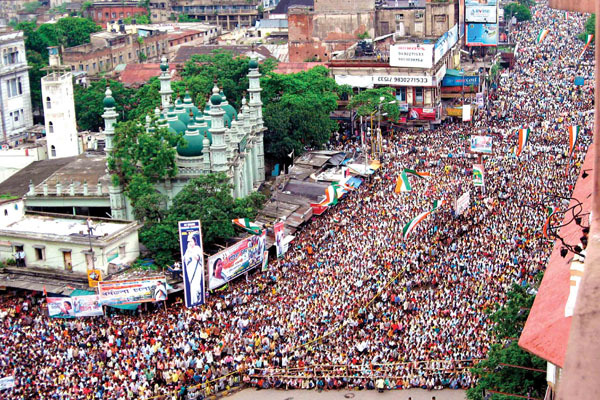 In certain other pockets across Bengal, the trend was also evident. However, even now, the BJP will not be able to challenge the TMC in a meaningful way in about 13-14 Lok Sabha seats. This reality prodded the Left and the Congress to join hands in Bengal. But despite of Rahul Gandhi and Sitaram Yechuri’s efforts, it failed due to some incomprehensive reasons. Still, even the failed effort may give a boost to polarisation in non-BJP seats. The Congress anyhow has remained strong in Gaud Bangla all through, thanks to the late ABA Ghani Khan Choudhury of Malda and a belligerent Adhir Chowdhury of Murshidabad. They may again win 3-5 seats (last time it got 4) from this small, Muslim-dominated region. 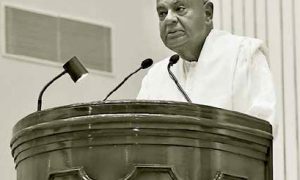 The CPI(M), which has failed to come up with new, catchy issues, has lesser chance to succeed as much, for its base has become somewhat amorphous. A PART from Gaud Bangla (5 seats), Bengal has three other regions: Uttar Banga (north of Malda, 6 LS seats), Rarh Bangla (western part of Bengal, 14 seats) and Dakshin Banga (Kolkata and heavily populated districts around it, 17 seats). In Gaud Bangla, the BJP is hoping to win 1 seat (North Malda), where the sitting Congress MP Mousam Noor (Ghani Khan’s niece) is this time fighting for the TMC, thereby dividing the Muslim votes between two parties. The mighty Left, when it used to be so, had iron grip over Rarh Bengal, a region which was backward and almost completely dependent on agriculture. 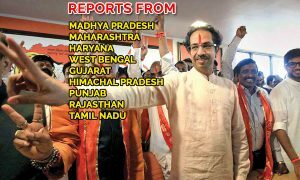 In recent times, in more than half of the region, the Left cadres, party offices and supporters have gone to the BJP’s fold. It was not surprising that here, during the campaign by BJP candidate Bharati Ghosh (erstwhile controversial pro-Mamata SP of West Medinipur district) in Ghatal constituency, people greeted her with loud roar of ‘lalsalam’. Apparently, about 7-8 seats of this region may see a straight (and tough) fight between the BJP and TMC. In the remaining 6-7 seats, the fight is still between a strong TMC and a weaker Left. In North Bengal, BJP has emerged strong in all the 6 constituencies. As far as 17 seats of South Bengal are concerned, except for about 3-4 seats in South 24 Parganas and Hooghly districts, the rest will see a direct contest between the TMC and the BJP. The polarisation of anti-TMC votes in BJP’s favour has been caused by quite a few factors. First, a few riots gave a free hand to the rumour mills as those were not reported by the media. It helped BJP to invoke the Hindu amidst the Bengal voters. BJP has played on it by organising Hindu festivals and demanding a clarification from the TMC on its stand on infiltration. Using an instance of two young men dying in police firing while protesting against appointment of an Urdu teacher in their school, they allege the TMC is trying to impose Urdu in Bengal. They promise Durga Puja will go on unhindered if BJP comes to power in Bengal, citing the example of Bengal administration banning immersion on the day of Muharram. Second, by offering citizenship to all Hindu refugees, BJP has fired up the emotions of the Matua community, who have a sizable presence in the bordering districts of Nadia and Uttar 24 Parganas. Consequentially, in Bangaon, the sitting TMC MP Mamatabala Thakur (from the community’s ‘guardian’ family) is facing a tough challenge from her brother-in-law’s son Shantanu Thakur of BJP. Incidentally, last time the TMC got 50.67 per cent vote in Bangaon, while the CPI(M) got 42.08 and the BJP just 3.95 per cent vote. An opinion poll by Nielsen predicts that this time the BJP will win the constituency by a fairly large margin. This constituency, in a way, symbolises the change in Bengal. Third, the BJP’s continuous efforts to make this election a referendum on Didi’s performance has succeeded to a large extent. All the three anti-TMC parties now attack TMC for ‘syndicate-raj’ and chit fund scams. The CM’s effort to protect erstwhile Calcutta police commissioner Rajiv Kumar, and an allegation of Abhishek Bannerjee’s (Mamata’s nephew and TMC MP) wife smuggling in gold from Thailand have given further munition to the opposition. THE BJP has its own problems too. It is divided between two groups. One is the old BJP led by state president Dilip Ghosh, and the other neo-BJP led by TMC-deserter Mukul Roy. While Ghosh wants to depend on Hindutva, RSS and old faces of BJP, Roy wants to chip away chunks from TMC at various places and give tickets to them. Two last time TMC MPs, Soumitra Khan (who after getting BJP ticket has now been barred by the High Court from entering his constituency because of cases lodged against him by the government!) and Anupam Hazra, left the party some weeks ago. Both have got BJP nomination, though Hazra’s constituency has been changed. Arjun Singh, a four-time TMC MLA and a strongman, also junked his old party in favour of BJP to become a candidate from Barrackpur constituency. While Arjun was welcome in the party, the selection of another TMC deserter, Nishith Pramanik, for Cooch Behar constituency drew flak from local cadre. Otherwise, it was being considered a ‘sure seat’ by the BJP. The party has lured some CPI(M) leaders too to join them and have given nomination to two erstwhile strong CPI(M) regional leaders—KhagenMurmu for Malda Uttar and Mahfuza Khatun for Jangipur. By nominating Mahfuza, it has given a signal to the Muslims too. As far as Mamata is concerned, though under pressure, she is still far from being out. The Bengal CM comes to her best when she plays opposition leader. There was definite calculation behind her rants against Modi for the last five years. She wanted to attract the Left voters by emerging as the most vocal force against Hindutva and ‘communalism’, pet subjects of the leftists against the saffron forces. At the same time, since the chorus on her ‘appeasement’ grew shriller, she started reciting hymns on Devi Durga and goddess Kali. She broke the Congress everywhere, and fortified her party in different Congress pockets. From a veteran Congress leader ManasBhunia of Medinipur to Mousam Noor of Malda, the list of Congress leaders joining TMC is quite long. Even quite a few Left MLAs and regional leaders have joined the TMC in last few years. Mamata was thus trying to emerge as the strongest and natural opponent of the BJP and Modi in Bengal, hoping to rally large chunk of Left and Congress votes around her. THIS election will be a test to check whether her tactic has worked. The Bengal CM is also adding up new issues. She has dared Modi to debate with her, called Rahul Gandhi a kid, and claims she can solve Kashmir problem if the responsibility is given to her. It all is aimed at projecting herself a Prime Ministerial candidate. Winning 34 seats like the last time could make her the largest party in Parliament after the BJP and the Congress, and a natural contender for leadership of the amorphous Third Bloc (which she calls Federal Front). She has already campaigned for Chandrababu Naidu and in the coming days may attend more rallies for such regional parties. Thus, she is trying to stoke up Bengali sub-nationalist emotion that was hurt by CPI(M)’s rejecting the proposal to make Jyoti Basu the Prime Minister. It may tweak the outcome to some extent. As far as welfare work is concerned, no doubt Mamata has overshadowed the Buddhadeb Bhattacharya governments by long, long miles. Bengal is having a better GDP growth and its debt burden is lessening. But industrialisation is still a far cry. Law and order is seriously challenged. The chit fund scams like Sarada and Rose Valley are still haunting many TMC leaders. Altogether, both politically and administratively it is a mixed bag. But the Bengal Tigress is a great fighter. If this time she manages to win two-thirds of the seats or more, she may stay invincible for the next assembly election. But, if the number comes down to half of it or less, the field will be thrown wide open.